In what seems to be a growing trend, people from all walks of life are trading in the big city hustle and bustle for the regions. Staff at Sarjeant on the Quay often meet new arrivals to town as they venture into the Gallery to explore the wonderful arts scene our city has on offer. A long and rich art history coupled with affordable houses attracts artists from all around the country. Many decide to make the city their permanent home, such as recent arrival Lauren Lysaght. Lauren is a boundary-pushing artist with an esteemed longstanding career who has exhibited and is collected by major galleries around New Zealand and internationally since the 1980s. Two years ago Lauren and her partner decided to make the move to Whanganui, now inhabiting a classic 1920s bungalow with their two dogs. As one of many well-known practicing artists in Whanganui (although Lauren tells me with a glint in her eye she’d rather be known as a “fully qualified” artist) she has made an impact on both the arts and wider Whanganui communities. 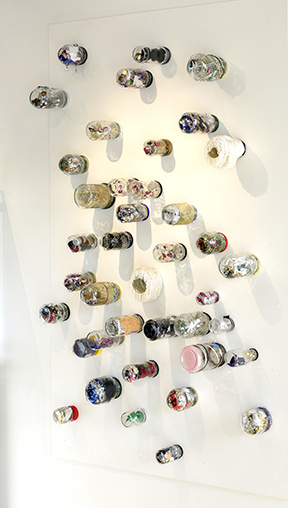 A recent success was the popular exhibition The Jar Room; a project involving many different community groups and hundreds of glass jars exhibited at Sarjeant on the Quay last year. 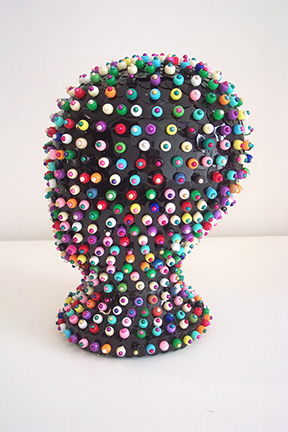 She has collaborated with numerous groups in New Zealand, Europe and the UK and has sometimes been disappointed by the way community art is regarded. “For some reason in New Zealand, community art can be viewed as a ‘poor cousin’ of the arts, elsewhere in the world it usually has its own respected place.” She has spent her career championing community art and has had some amazing experiences along the way. 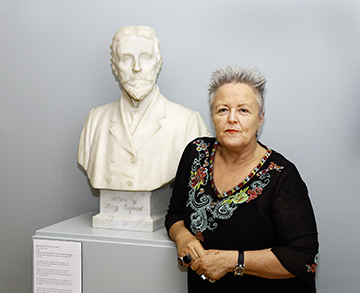 The Sarjeant Gallery has a long history with Ms Lysaght, who was artist-in-residence at Tylee Cottage in 2001, culminating in an exhibition Citizen Cane in the same year. She then undertook further artist residencies and spent 12 years living in Auckland in an old Bank of New Zealand building, before moving to Wellington in 2013, living in a little cottage in Newtown where her studio was also based. Bring Me The Head Of Diablo Lucro 2005. Image courtesy of Whitespace gallery Auckland, private collection. She tries to avoid the clichés that often get applied to her work, “someone defined me the other day as a ‘multi-disciplinary artist’ and I think I’d rather be known as a ‘totally undisciplined artist’!” After a work is completed, Lauren is happy to let it go out into the world and is always thinking about her next project, planning at least two years in advance. Recently, Lauren had work featured in the group exhibition Big Eyes at the Rayner Brothers Gallery, 85 Glasgow Street, and also has a solo show The Silence of the Sheep on there now, which is about “reasons why people don’t speak up about things.” She is currently working on a new series for the Whakatāne Museum later this year. When she’s not in her studio, Lauren enjoys home decorating and reads a lot of Architectural Digest magazines, fantasising about “creating environments”, an idea that can be attributed to both her home life and her art practice.